So you are headed to Prague? First of all, congrats! I am so jealous and wish I was there now. Second make sure you check out my post all about my time in Prague. Today I'm going to share with you my tips that I think will come in handy if you are off to Prague. I have only been to this amazing city once so I'm sorry that this won't be an extensive list and these tips come either form our planning beforehand or from hindsight. 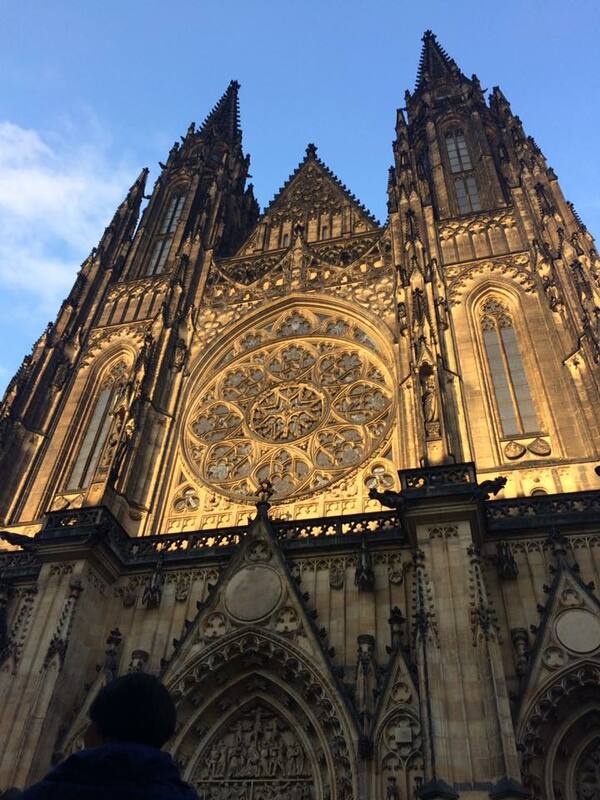 Prague castle is definitely worth the visit but when we arrived there at about 12 in the afternoon the queue was insanely long and we would have probably been waiting at least 2 hours. However when we came back at roughly 6 in the evening there was no queue and hardly anyone around. Travelling can be daunting especially in a different country but Prague makes it very easy to get around. In the metro station or some small shops you will see machines where you can buy: 30 mins, 60 min, 90 mins, 1 day and 3 day tickets. A 90 min ticket costs 32 CZK (roughly £1) and tickets can be used on trams, buses and trains. All you have to do is validate your ticket before you get on your first mode of transportation. Your ticket will be valid from that point until your selected ticket time is up. Dan and I had a bit of nightmare when it came to getting from the airport to our hotel. We booked a car when we booked our hotel and flight but when we arrived at the airport our driver was no where to be found. When he did eventually show up he had a go at us, drove like a maniac, talking on this phone in the pouring rain, I honestly thought I was going to die at one point. So safe to say that we didn't fancy getting our return car back to the airport. Luckily for us getting from Old Town to the airport is super easy, all you had to do was take a train with one change then catch a bus. The trip took less than an hour so a 90 minute ticket was more than enough. 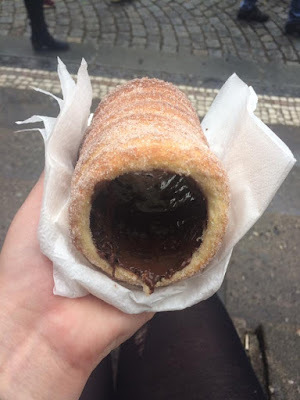 So you'll see a shop or a stall selling Trdelnik everywhere in Prague and yes they are a massive tourist trap but dear lord are they are worth it. Trdelnik is a cinnamon, sugary, hallow pastry which you can have plain or with a number of fillings: chocolate, ice cream, cream etc. We got ours for 70 CZK but I saw some being sold for 100 CZK and up so definitely shop around before picking up your Trdelnik. Czech is not an easy language to learn in any respect however if you aren't fluent in the language don't panic! The majority of the people we met in Prague spoke English but obviously learn a few phrases just to be polite and show you've put in some effort. This may sound extremely obvious but bring enough money to see you through your trip. Let me explain; Prague is riddled with money exchange places and they are a complete rip off and you will lose so much money! 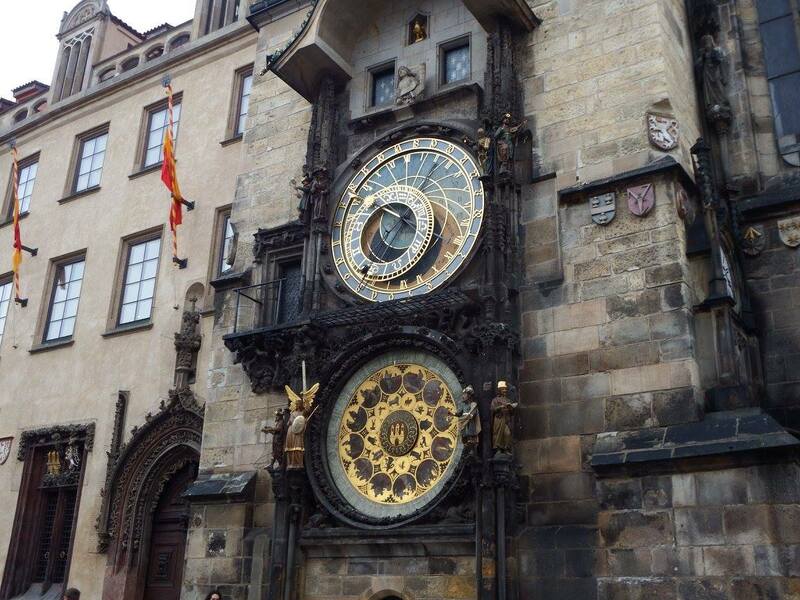 The astrological clock was probably my favourite thing in Prague but as it's so amazing it will have a huge crowd of people around it. Unless you head there early in the morning, we reached the clock at about 8 in the morning and there were very few people there. 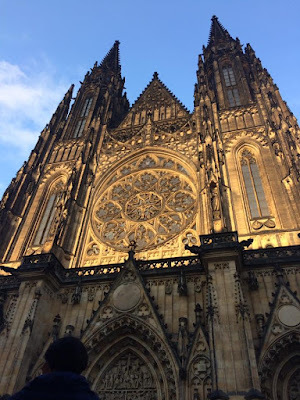 So those are my tips if you are planning on a trip to Prague. I hope you enjoyed reading this post and found it helpful. Have you been to Prague? What are some of your travel tips? 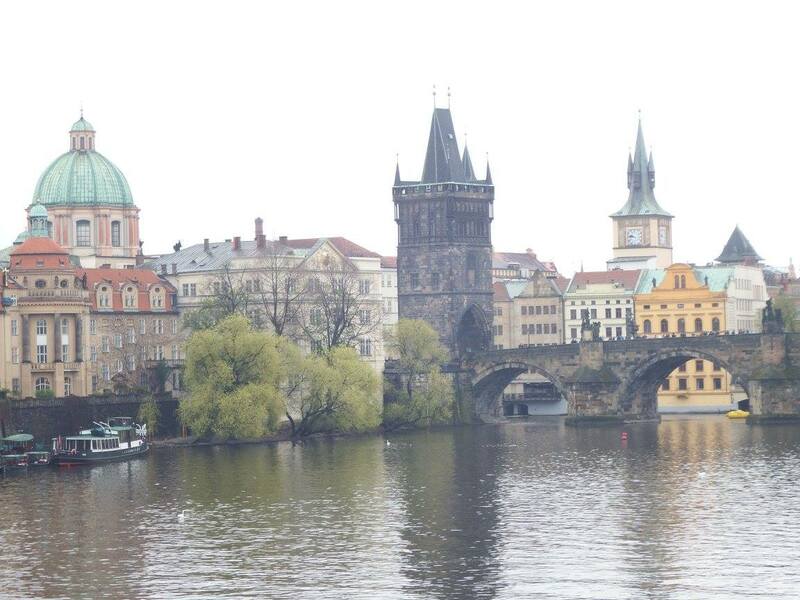 I'm heading to Prague in August with my dad so loved reading this post! I'm so excited, it looks like such a beautiful city and these are great tips, I think we'll be sticking to the train to and from the airport - glad you had such a lovely time! I hope you have a great time, it's such an amazing city I'm sure you'll love it! Thanks for popping by!